Like the MEC Student LIfe Facebook page to stay up to date. Every student at the Medical Education Campus has the potential and opportunity to become a student leader. There are many benefits to becoming involved in student leadership. In addition to learning more about yourself, your strengths and interests, you gain valuable skills. The friendships you develop, working together as a team on projects and goals, often remain long after graduation. The satisfaction of working as a team toward a common goal and knowing that you have made a positive contribution to your community is huge. What Is the Difference Between a Club or Organization and an Interest Group? Are YOU planning to graduate in May? The deadline to apply is right around the corner! Learn about the information you will need to graduate from NOVA and plan for transfer or prepare for employment. For many students unexpected time off may feel like a blessing. Time to relax and repose. However the avid learner will recognize that this “extra” time is illusory. As a student you will still be expected to keep up with your assigned materials. What you miss is vital instruction time. For our Allied Health and Nursing students, this means time away from practice labs and clinical rotations. Each hour spent in lab or clinical is a vital learning opportunity. Time snowed in is best spent practicing your skills and reviewing. We recommend that when faced with extra time you do some of the following. We often fail to realize how important good organization is. This will mean different things to different people. However the key is to understand that you must optimize your time and workspace to best leverage your learning style and available resources. This might mean cleaning your desk, moving furniture or organizing and digitizing notes. Knowing when things are due, and where things are will save you a great deal of time going forward. The point here is not to model your workspace after some ideal, but to model it after your ideal. This may visually translate into a spartan desktop, or a chaotic maelstrom. Part of the effort to organize will involve inventorying. This basically means assessing your physical resources as well as you intellectual resources. Are you really good at memorizing and recalling information? Great! But do you struggle with contextualizing that information? Do you have enough pens, batteries and the entire minutia required for studying well? Have you set an appointment to speak to a disabilities or academic success counselor? Another part and possibly most crucial part of the inventory, is to understand realistically how long it takes you to complete a given task. If you know it takes you a day to read a chapter make a note of it. Knowing the boundaries of your abilities will help you push those boundaries further. The greater detail in your personal inventory the better organized you’ll become. After you have organized and inventoried your life, you will almost be ready to tackle your assignments. Having organized and inventoried, the first thing you will need is a copy of your syllabus from each course. In addition you will have any in class and online announcements related to your class easily accessible. Make a list of all pending work. This includes projects, exams, and the areas of weakness you identified earlier. Next to each establish a deadline and level of priority. You should also write down the how much time you realistically take on the task. Armed with your list of task, deadlines, priorities and projected times to completion you will be able to make an accurate schedule. Order your list of task by deadline and then priority. This last part is pretty straight forward, but the most challenging. Now you need to honor your schedule which given the level of detail and attention should allow you to flow effortlessly from task to task. Becoming a successful student directly translates into becoming a better worker. Having a toolkit that allows you to prioritize and manage your time is one of the keys to having a successful career in any field. Next time you have “extra” time, try executing these simple tips. You’re work productivity should increase and your stress reduced. IRS-certified volunteers will help ensure you receive the maximum tax refund and help determine if you are eligible for the Earned Income Tax Credit. If you or your family earned less than $54,000 in 2015, you may qualify for this free service. Proof of health insurance coverage, i.e. form 1095A, insurance card, Medicare or Medicaid card. All income statements for self and dependent: W-2, W-P, W-2G, 1099, etc. Come join us March 3rd 2016 from 2:30 to 3:30 PM in room 154. 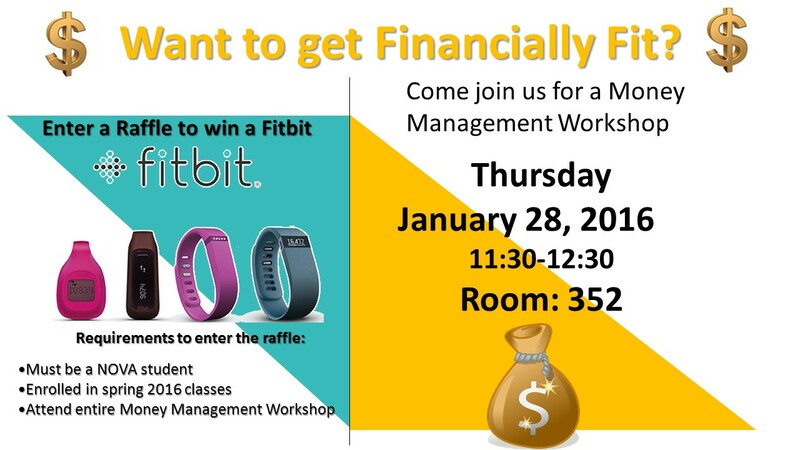 We will be hosting a Money Management Workshop to help you stay financially fit this spring and future semesters. 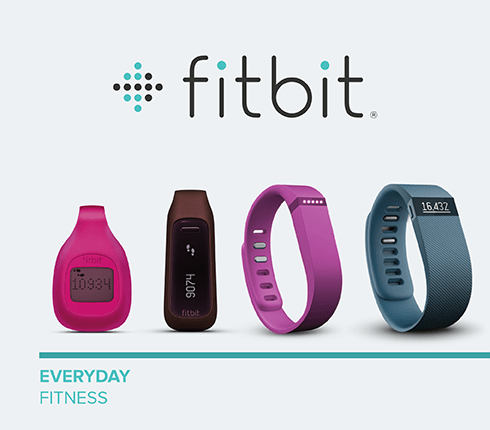 As an added bonus we will be raffling a Fitbit to workshop participants. Email us any questions at MECCounselor@nvcc.edu.